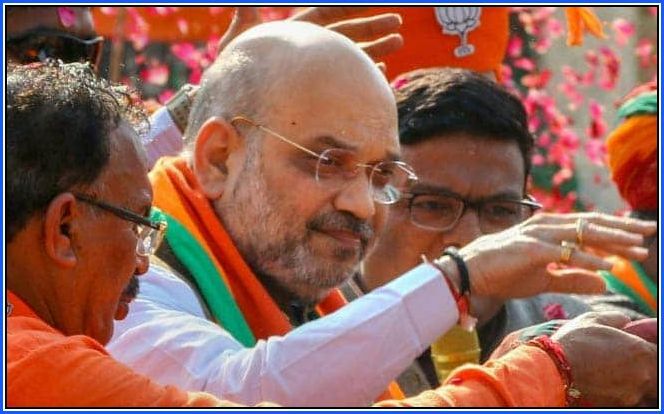 Kalimpong/ Raiganj, West Bengal: The BJP will scrap Article 370 of the Constitution which grants special status to Jammu and Kashmir and introduce National Register of Citizens across the country if voted to power again, BJP chief Amit Shah said Thursday, raking up the two hugely disputed issues. "Apko (Mamata) Pakistan ke saath ilu ilu (I love you) karna hain toh kijiye. Lekin agar Pakistan goli marega toh hum gola marenge (If you are interested in love with Pakistan, you can do that but we would respond to their bullets with canon balls)," Mr Shah said, referring to a song from Bollywood film Saudagar released in the early 1990s. Seeking to reach out to tea garden workers, who constitute a sizeable section of the electorate, the BJP chief said his party's manifesto has promised to provide a pension of Rs. 3,000 to them after the age of 60. In Assam, where the BJP is in power, the government has twice transferred Rs. 2,500 directly to their bank accounts, he said, claiming the TMC government in West Bengal neglected tea garden workers.